snakebyte™ Premium Remote XL+ Controller For Wii® Available Now Exclusively Through Sunflex USA: Sunflex USA LLC, the exclusive distributor of the video gaming brand snakebyte™ and FINAL FANTASY® XIV controller, is now shipping the snakebyte™ Premium Remote XL+ Controller for Wii®. With integrated MotionPlus functionality, the Remote XL+ is the first third-party all-in-one solution for Wii® players in the U.S. The snakebyte™ Premium Remote XL+ Controller for Wii® is available in both black and white for $34.99; $5 less than the first-party model that is reported to hit the market later this year. Sunflex USA LLC, the exclusive distributor of the video gaming brand snakebyte™ and FINAL FANTASY® XIV controller, is now shipping the snakebyte™ Premium Remote XL+ Controller for Wii®. With integrated MotionPlus functionality, the Remote XL+ is the first and currently the only third-party all-in-one solution for Wii® players who demand optimum performance from a controller; no add-on or additional purchase required! Kinova Technology and RobotShop Launch the Academic Version of the Revolutionary JACO Robotic Arm - RobotShop has obtained worldwide exclusivity for online sales of the academic version of the next generation JACO® robotic arm, by Kinova Technology. 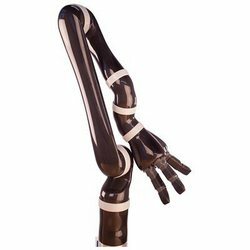 RobotShop Distribution announces today that they have signed a global exclusivity agreement with Kinova Techhnology in order to sell the academic version of the JACO robotic arm on the Internet. RobotShop has been working for more than 2 years to increase their professional robotics product offer in order to better cater to customer requests. Simplified, fluid and safe manipulation is a market that offers a lot of potential and virtually unlimited applications. With the addition of the revolutionary JACO robotic arm to their growing product offer, RobotShop adopts the strategic plan common to both partners. Kinova was seeking a specialized partner able to offer a turn-key solution with global market appeal. It was during the development of the Quebec robotics innovation cluster “IROQ” (Innovation Robotic Quebec) that the two companies reinforced their partnership. Your New Computer Technician is… Online - My Phone Support, the telephone and internet-based tech support service, has just released the My Phone Support application – allowing users to easily connect to tech support agents. ConsumerSoft today announced the release of the My Phone Support application. This new application makes it even easier for computer users to get technical support. 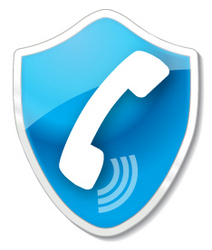 Users simply download and install the My Phone Support program and click “Connect to an Agent.” This opens a chat window where the user can talk with tech support agents and even let the agent connect to their PC for a repair. iStory Interactive Children’s Books Now Available for iPad - iStory, a new interactive children’s book app for the iPad, allows young readers to fully engage with each story they read through a series of auditory and visual interactions. For example, not only can a child watch bubbles appear on the pages of their storybook, but they can actually reach out and pop them. 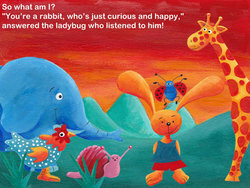 iStory, a new interactive children’s book app for the iPad, allows young readers to fully engage with each story they read through a series of auditory and visual interactions. For example, not only can a child watch bubbles appear on the pages of their storybook, but they can actually reach out and pop them. Rather than another book reader on the iPad, each iStory book functions as its own app with its own icon – letting users easily find and launch the books their kids currently enjoy reading directly from one of the iPad’s home screens. With its new line of stories now available in the iTunes App Store, children will stay connected for hours with entertaining and educational stories that teach valuable life lessons. Metal USB Flash Drive TubeFlash: Logo Branded USB Stick by MemoTrek™ - The full-metal TubeFlash USB drive is a well-designed and attractive tube-shaped USB flash drive that will shine on any key-chain. TubeFlash USB flash drives come equipped with high-speed A-grade NAND flash memory in 4GB, 8GB, 16GB and 32GB capacity, these innovative metal USB TubeFlash drives are well-designed and a freshly brewed and branded designer USB flash drives are sold in wholesale batches by MemoTrek™ Technologies, leading B2B wholesale supplier of branded USB flash drives to cooperate customers worldwide. 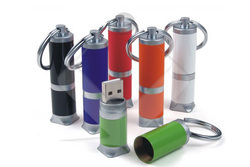 MemoTrek™, the leading wholesale supplier of branded USB flash drives to cooperate customers worldwide, has recently launched a fresh design creation and an innovative new metal USB flash drive in tube form with the matching name the TubeFlash. The TubeFlash metal USB flash drive comes equipped with high-speed A-grade NAND flash memory in 4GB, 8GB, 16GB and 32GB capacity. Sony Ericsson’s New Affordable Mobile Phone Gadgets Can be Paid for by Recycling Old Mobile Phones - Compare and Recycle can help you get new mobiles from brands such as Sony Ericsson, but taking your old mobile phones and finding out who will give you the most cash back for them. If it’s any indication how infinite mobile phone product ideas are, now there’s a remote control for your phone. Sony Ericsson has released the LiveView, a small display device that is wirelessly linked to a user’s Android phone, allowing him to read text messages and view incoming calls and Facebook and Twitter updates without having to remove the larger mobile object from his bag. This has users looking to buy new mobile phones, even though they perhaps haven't outgrown the existing on. But with companies like Compare and Recycle comparing mobile phone recycling services around the country, one can at least get some money back for their old phones. The LiveView works through a Bluetooth connected to the phone and also allows control over most basic smartphone functions, like music, calendar reminders and RSS feeds. Sony Ericsson plans on working with other applications to get LiveView functionality built into them as well. 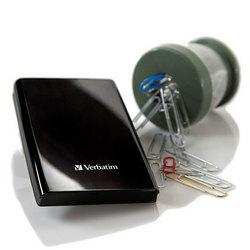 Verbatim® "Plugs In" All-New Store 'n' Go® SuperSpeed USB 3.0 Portable Hard Drive for Lightening Fast Connections - Verbatim® Americas LLC, the information storage pioneer, is “backing up” data up to ten times faster than before with this month’s release of the Store ‘n’ Go® SuperSpeed USB 3.0 compact portable hard drive. The brand-new portable hard drive – available 500GB and 750GB in October and 1TB in November – provides the fastest possible USB connectivity, letting consumers backup content in just seconds and take the drive, and their files, with them wherever they go. ATP®, a leading flash memory manufacturer known for its high quality, durable flash and DRAM memory modules announced the release of its high performance ATP ProMax Compact Flash 650X memory card. The ATP ProMax Compact Flash 650X is available in 16G and 32G capacities and has a data transfer rate of 96 Mbytes/s (650X). The ATP ProMax CF 650X allows for faster efficient shooting, video recording and uploading and sharing of digital images, making it the ideal choice for professional photographers and enthusiasts who use digital single lens reflex (DSLR) cameras. PADACS Announces Premium iPad Keyboard Case - International specialist mobile accessories company PADACS has announced the Rubata iPad keyboard case, a premium leather-bound cover with a built-in Bluetooth keyboard with special iPad keys. Available early November, the Rubata Bluetooth keyboard will extend the excitement of PADACS just-released Toccata keyboard case, which has proved hugely popular with US reviewers. Rubata differs from the Toccata through its 100 per cent leather case, a hard plastic shell keyboard and special keys that make the iPad even easier to use. Special keys include one touch access to functions such as Select All, Copy, Cut and Paste as well as keys for Blank Screen, Slideshow and Search. 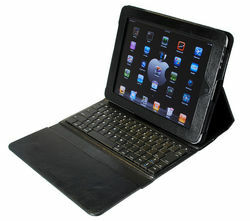 The Rubata Bluetooth keyboard case costs US$99.95. Powerful Ultra-bright Xenon Flashlight - A True Revolution of Flashlights - A new ultimate in incredibly powerful personal illumination - revolutionary powerful ultra-bright Xenon Flashlight, which was known as Tactical HID Flashlight, has been introduced by www.TOMTOP.com Online Shop. From now on, flashlight is not only used for lighting. There is a new ultimate in incredibly powerful personal illumination. 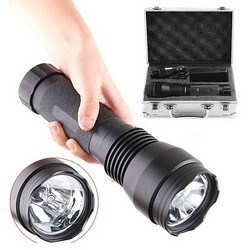 The revolutionary powerful ultra-bright Xenon Flashlight, which was known as Tactical HID Flashlight, has been introduced by www.TOMTOP.com Online Shop. Sony Ericsson Release Xperia™ X10 How-To Video Guides - Sony Ericsson has revealed a range of how-to videos through the official Sony Ericsson YouTube channel. Sony Ericsson has revealed a range of how-to videos through the official Sony Ericsson YouTube channel. A number of these videos have recently been uploaded to the official channel. The videos are designed to help users to maximise the use of their Sony Ericsson Xperia™ X10 handsets. The videos offer step-by-step guides that are easy to understand so that all users can act upon the information presented in each video. One such video is designed to help users extend the battery life on their handsets. The video's outset explains a number of different features included within the Xperia™ X10 which may use battery power at a greater rate than normal, such as social media applications or email services. Users are then instructed how they may turn off or alter certain features of these applications, such as the way they automatically connect to the internet to upgrade, to thereby help save battery life. Other video topics include guides to help upgrade software, transfer contacts, and transferring media. All videos are presented in the same format to make it as easy as possible for users to understand. Enjoy Bright LCD Viewing Everywhere with 3.5" LCD POCKET DIGITAL TV - Innovative DTV Solutions, Inc. US headquarters are based in Santa Fe Springs, California. Incorporated in 1995, the company sales, marketing and distribution capabilities originated from its role in providing the largest US share of digital converter set-top boxes for the 2009 digital conversion program. Innovative DTV Solutions (IDTVS) is the distributor and marketer of stylish home entertainment products, has got just right solution for college students and TV watchers who wish to have an easily transportable TV for their room or apartment - 3.5” LCD POCKET DIGITAL TV Model DHT235D. With the transformation of analog to digital signal any individual wanting a television in his room needs to have a digital capable set. But with 3.5” LCD pocket digital TV you can experience the same old kind of entertainment but with digital output. When compared to earlier sets this is much user friendly and offers exceptional portability.